This is the only hole on the course without any bunkers, but don't let your guard down. The tee shot on this tree lined hole should be down the right hand side to allow for the gently sloping right to left fairway. 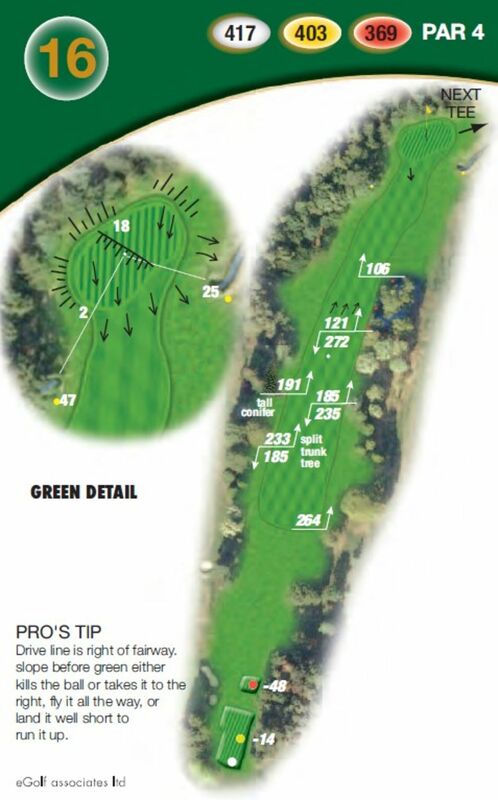 Your second shot needs to be long enough to carry onto the green or there is the danger of bringing the brook into play. Once on the two level green you still have to be careful, there are some cunning slopes. Your drive line is the right side of the fairway, but not to far right. The strong slope before the green will kill a short approach, so fly it all the way.